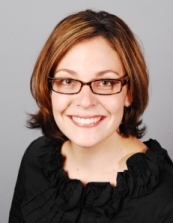 Meagan Liesveld is Marketer of the Month for AMA’s Lincoln Chapter. “I haven’t been doing traditional marketing for years, so this (award) was quite a surprise,” she said. Liesveld is director of donor relations and is the donor relations writer for CEDARS Home for Children Foundation. She works with donors to help them use their gifts to support children who have been abused, neglected or who are homeless in the most efficient and effective manner. Liesveld grew up in Grinnell, Iowa, and holds a bachelor’s degree in business administration from Northwestern College in Orange City, Iowa. Her philosophy of marketing comes from a non-profit perspective.